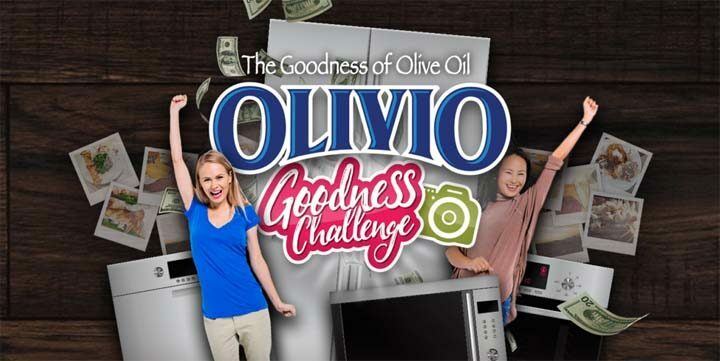 The Olivio’s The Goodness of Olive Oil Photo Contest is open to legal residents of the 48 contiguous United States and the District of Columbia (excluding residents of Hawaii and Alaska) who are eighteen (18) years of age or older. The Olivio’s The Goodness of Olive Oil Photo Contest ends on September 30 at 11:59:59 PM ET. During the Contest Period, entrants will send a photograph of how they spread “The Goodness of Olive Oil” with friends and family taking place indoors or outdoors. Every photograph must have at least one (1) tub and/or bottle of Olivio spread or spray in it to be eligible to be judged, but the consumer is not required to be in the photo. Entrants who enter through the website will receive one of two responses that the photograph was either Accepted or Denied. If accepted, they will receive one (1) Contest entry in the current Contest Period, as noted above in the Contest Judging Table. If photo is declined, they are not entered and can go to olivio.com/promotions/goodness-challenge to see why & try again. All photographs that have been approved as an entry into the Contest will be visible in the gallery on olivio.com. Winner will be awarded $10,000.00 towards a major Kitchen Appliance set (awarded in the form of a check). Total ARV for all prizes to be awarded: $10,000.00.